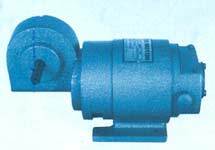 We are involved in offering a wide range of D. C Worm Geared Motors to our most valued clients. Our range of these are widely appreciated by our clients which are situated all round the nation. We offer our range of it at most affordable prices. We introduce ourselves as an eminent trader and supplier of an extensive array of D. C Worm Geared Motors. Prior to dispatch, our quality controllers run numerous tests on the entire range on various parameters of quality and durability. The offered equipment is manufactured using superior quality components with the aid of sophisticated techniques at the vendors' end. Moreover, our precious clients can purchase it in different technical specifications at reasonable price from us within promised time frame.